(January 6, 2015)- Cape Coral Police Department Major Crash Investigators have concluded an investigation into a fatal crash that occurred on September 28, 2014, that killed a Cape Coral bicyclist. 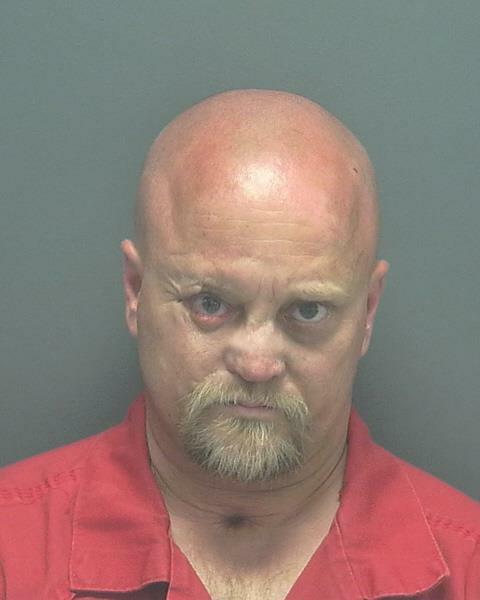 Jason William Stewart, 44, of Cape Coral, was taken into custody by LCSO deputies yesterday afternoon on a warrant for Vehicular Homicide and Reckless Driving with Injury to a Person. Stewart was the driver of the vehicle in the September 28th crash that struck and killed bicyclist William Scott Johnsen in the 600 block of Diplomat Parkway E. Stewart's passenger also sustained injuries in the crash. Investigators determined that Stewart was operating the vehicle in a reckless manner at speeds in excess of 100 miles per hour at the time of the crash. Investigators forwarded the completed investigation to the State Attorney's Office and a warrant was issued for Stewart's arrest. ARRESTED: Jason William Stewart, W/M, 44, of 3619 NE 18th Ave, Cape Coral FL. CHARGES: Vehicular Homicide, Reckless Driving w/Injury to Person. CHARGES: Homicide-Negligent Manslaughter with a Vehicle (Killing of person or viable fetus w/vehicle), Reckless Driving w/Injury to Person.